Rob's final blog this week concerns three of the most widely used words in Mental Health services: Person, Centred and Recovery. These terms are used so widely that they have, to an extent, lost their meaning. All services claim to be person-centred (what would be the alternative?) and all services claim to work towards recovery, even if what recovery actually means is often poorly defined. 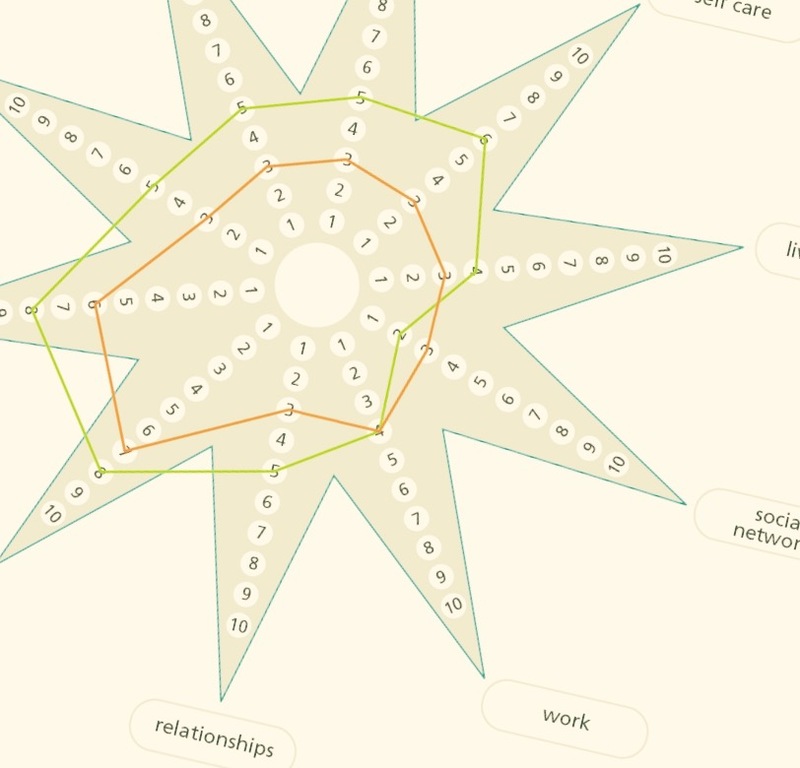 One of the ways in which services seek to demonstrate a person-centred and recovery focussed approach is through using an accepted, tested measure of wellbeing, for example the Recovery Star or the Warwick Edinburgh Mental Wellbeing Scale (WEMWBS). The huge advantage of using this sort of measure is that they give us data with which we can work. The better you feel, or the more you recover, the higher your score on the WEMWBS scale is, or the bigger your recovery Star is. This data allows us to look more objectively at our performance, to measure the impact of our work and, although this is often overlooked, to offer encouragement to the people we are supporting. The huge disadvantage of data is that it can become an end in itself: collecting data becomes more important than what it actually tells us. Completing the form becomes the priority, rather than what happens next. Outcomes are developed in order to show a result on the measuring tool (this is particularly the case with the Recovery Star), rather than in order to support the person towards achieving something which is meaningful to them. This is precisely the opposite of a person-centred approach, whether or not organisations would like to admit it. I could rant for several pages on the dangers of being over-reliant to the point of obsession with measuring tools like the Recovery Star, but that might get a little wearing. 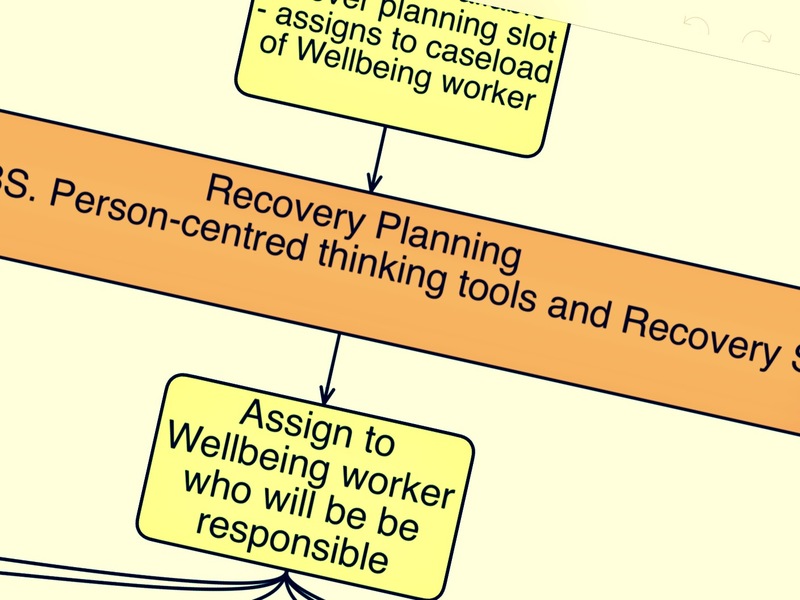 Instead, I am going to look at how tools like the Recovery Star can be combined with person-centred thinking tools to create a practical, quick and highly effective recovery focussed service model. The key idea in using measuring tools effectively is to be clear that these tools only provide a snapshot of a person’s life at a particular moment in time. If the on-going support people receive is effective and focussed on what they want, the measurement will take care of itself. If all the service tries to do is to improve the measure for it’s own sake, then this misses the entire point. As with many Mental Health services, if there is a statutory support plan in place, then responsibility for the plan rests with the Adult Mental Health Team (AMHT), which is part of the NHS Trust. Provider organisations have very little input into how these plans are reviewed. Many people we support only access a few hours of support a week. It is not practical or necessary to develop a full support plan, or to carry out a full review. People access support from many places. The provider I was working with might only support people in one aspect of their lives. A full care/support plan and review is not required in this case. For the purposes of our service, we decided on the following person-centred tools as most relevant to our needs. For each of these tools, I have described briefly how they are used, and noted the ‘next step’, which could be taken once these systems are in place. The reason for starting with a working/not working rather than a One Page Profile is that most people who begin accessing services are experiencing some sort of immediate issue, which is front and centre in their mind. Talking about this early is very important in developing a relationship. By prioritising the most pressing things that are not working for the person, they begin to feel supported immediately which makes the next stage easier. Next Step: Use the Working Together For Change process to identify themes across all services in order to improve service provision and to make better strategic decisions. Prioritising the biggest issues which are not working leads us to think about what we would like to be different in 6 months. Often these are quite small positive changes or an absence of negative changes. The point is to have something the person knows they are being supported with which is meaningful to them. 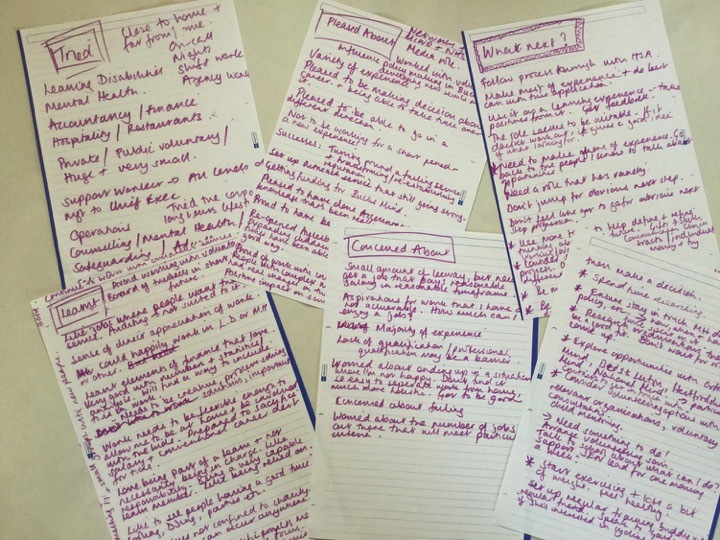 Next Step: Incorporate questions like ‘If I could, I would…’ into developing outcomes, encouraging people to think further ahead. If our service is to be responsible for the individual’s recovery star, then this is worked on next. Next Step – As with the profile above, completing Recovery Stars with peers is an obvious future development. 4+1 is a great tool for reviewing this sort of support plan. It can be done in groups, in 1:1 sessions and gets great results in a short time. Next Step: Peer review could again be incredibly powerful. Working Together for Change would gather information from all the reviews taking place and provide invaluable data for making decisions across the organisation. The thing I am always most concerned with as a manager is that whatever we systems we introduce must fit with the way people want to be supported and with the way services actually work in practice. This requires processes to be simple, repeatable and to help staff to do their jobs more effectively, rather than be something that must be completed as an add on. I am confident that the process outline above is person-centred, recovery focussed and will be well received by staff who usually have their suspicions aroused by anything which does not seem to be directly benefitting the people they are working with. If you would like to talk to me in more detail about how this can work, then please get in touch.